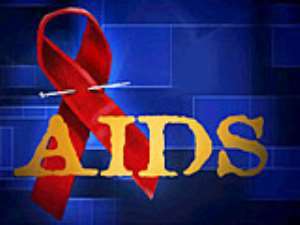 Accra, May 26, GNA - The Ghana 2003 HIV Sentinel Survey has shown a steady increase from 2.3 per cent in 2000 to 3.6 per cent in 2003, however, the prevalence rate in the 15-19 years age group experienced a decline. The youth, described as the high-risk age group, were targeted with seriousness and intensive programmes, leading to the declined of the mean prevalent rate to 1.9 per cent while the 45-49 years age group recorded a mean prevalence rate of 6.0 percent. Dr Nii Acquaye Addo, Programme Manager of the National AIDS/Sexually Transmitted Infections (STIs) Control Programme of the Ghana Health Service (GHS), gave these statistics to the media in Accra on Wednesday. He said even though there was a decline it was too early to rejoice because "we need at least three more years to observe and ensure that either the prevalence rate was maintained or reduced". Dr Addo noted that the national prevalence rate was going to rise in a slower rate till it reaches the plateau "then, hopefully there will be a decline". He said sentinel survey, which was conducted in 30 anti-natal and two STI sentinel sites throughout the country for a 12-week period from September 1, 2003 to November 1, 2003 was to monitor the epidemic and provide the nation with HIV prevalence data for planning and care activities. In all, 13,944 blood samples from pregnant women attending anti-natal for the first time were collected out of which 13,472 blood samples were analysed. Pregnant women were chosen because it was a standardised method by the World Health Organisation (WHO) for countries to determine their prevalence rate. Dr Addo, therefore, called for an intensified and persistent campaign to ensure the reduction in the current prevalence rate as had been done in Uganda. He noted that the screening results after testing at the Public Health Reference Laboratory were sent to Nouguchi Memorial Institute of Medical Research for quality assurance of the results. "It was found out that HIV Type I was more predominant in the test with 94.4 per cent; HIV Type II recorded 0.5 per cent and dual infection -HIV Type I and II recorded 5.1 per cent. Ashanti Region and Greater Accra, the most populous regions, had a prevalence rate of 4.7 per cent and 4.3 per cent, respectively. Eastern Region recorded the highest with 6.1 per cent followed by Central Region with 5.4 per cent and the Northern Region recording the lowest rate of 2.1 per cent using averages. Dr Addo noted that the result of the survey would be a model for estimates and projections of infections in the general population to provide a firm basis for planning and forecasting health needs including provision of anti retroviral drugs to support programmes. Dr Agnes Djokoto, Deputy Programme Manager and STI Focal Person for NACP, said Agomanya, which recorded 18.9 per cent reduced to 7.9 had increased again to 9.2. She said the sudden increase could be the result of the Mother to Child Transmission Project in that area, which had made a lot of people to go there to seek treatment. She said Koforidua, which also recorded a high rate of eight per cent in 2002, recorded as low as 2.6 per cent adding that investigations were being carried out to verify results.